America remains a nation of believers, but a new survey finds most Americans don't feel their religion is the only way to eternal life - even if their faith tradition teaches otherwise. In all, 70 percent of Americans with a religious affiliation shared that view, and 68 percent said there is more than one true way to interpret the teachings of their own religion. "The survey shows religion in America is, indeed, 3,000 miles wide and only three inches deep," said D. Michael Lindsay, a Rice University sociologist of religion. "There's a growing pluralistic impulse toward tolerance and that is having theological consequences," he said. But, there could be a flip-size to the results, suggests Father Thomas Williams, a professor of theology and a CBS News Analyst. "I think that organized religion could find this also a little bit threatening in the sense when dogma and doctrine become less and less important, it doesn't matter belonging to one church or another," Williams said on the CBS Evening News. Earlier data from the Pew Forum's U.S. Religious Landscape Survey, released in February, highlighted how often Americans switch religious affiliation. The newly released material looks at religious belief and practice as well as the impact of religion on society, including how faith shapes political views. The report argues that while relatively few people - 14 percent - cite religious beliefs as the main influence on their political thinking, religion still plays a powerful indirect role. The study confirmed some well-known political dynamics, including stark divisions over abortion and gay marriage, with the more religiously committed taking conservative views on the issues. But it also showed support across religious lines for greater governmental aid for the poor, even if it means more debt and stricter environmental laws and regulations. By many measures, Americans are strongly religious: 92 percent believe in God, 74 percent believe in life after death and 63 percent say their respective scriptures are the word of God. But deeper investigation found that more than one in four Roman Catholics, mainline Protestants and Orthodox Christians expressed some doubts about God's existence, as did six in ten Jews. Another finding almost defies explanation: 21 percent of self-identified atheists said they believe in God or a universal spirit, with 8 percent "absolutely certain" of it. 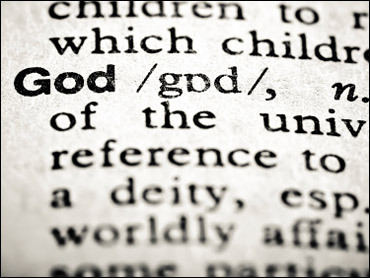 "Many people who identify as atheists may not be telling us they don't believe in God, they may be telling us they don't like organized religion," Pew senior fellow John Green told CBS Radio News. At Saint Alban's Episcopal Church in Washington, D.C., members of a weekly bible study class agree - their path to heaven is not the only path. "It is impossible for me to believe that Christ is the only window for salvation," member Claudia Upper told CBS News correspondent Chip Reid. Luis Lugo, director of the Pew Forum, said that more research is planned to answer those kinds of questions, but that earlier, smaller surveys found similar results. Nearly across the board, the majority of religious Americans believe many religions can lead to eternal life: mainline Protestants (83 percent), members of historic black Protestant churches (59 percent), Roman Catholics (79 percent), Jews (82 percent) and Muslims (56 percent). By similar margins, people in those faith groups believe in multiple interpretations of their own traditions' teachings. Yet 44 percent of the religiously affiliated also said their religion should preserve its traditional beliefs and practices. "What most people are saying is, 'Hey, we don't have a hammer-lock on God or salvation, and God's bigger than us and we should respect that and respect other people,"' said the Rev. Tom Reese, a senior fellow at the Woodstock Theological Center at Georgetown University. "Some people are like butterflies that go from flower to flower, going from religion to religion - and frankly they don't get that deep into any of them," he said. Beliefs about eternal life vary greatly, even within a religious tradition. Some Christians hold strongly to Jesus' words as described in John 14:6: "I am the way and the truth and the life. No one comes to the Father except through me." Others emphasize the wideness of God's grace. The Catholic church teaches that the "one church of Christ ... subsists in the Catholic Church" alone and that Protestant churches, while defective, can be "instruments of salvation." Roger Oldham, a vice president with the executive committee of the Southern Baptist Convention, bristled at using the word "tolerance" in the analysis. "If by tolerance we mean we're willing to engage or embrace a multitude of ways to salvation, that's no longer evangelical belief," he said. "The word 'evangelical' has been stretched so broadly, it's almost an elastic term." "It shows increased religious security. People are comfortable with other traditions even if they're different," said the Rev. C. Welton Gaddy, president of the Interfaith Alliance. "It indicates a level of humility about religion that would be of great benefit to everyone." More than most groups, Catholics break with their church, and not just on issues like abortion and homosexuality. Only six in 10 Catholics described God as "a person with whom people can have a relationship" - which the church teaches - while three in 10 described God as an "impersonal force." "The statistics show, more than anything else, that many who describe themselves as Catholics do not know or understand the teachings of their church," said Denver Roman Catholic Archbishop Charles Chaput. "Being Catholic means believing what the Catholic church teaches. It is a communion of faith, not simply of ancestry and family tradition. It also means that the church ought to work harder at evangelizing its own members."